Father Ambrose, of aristocratic lineage, was born Alexei Michailovich Taratuchin in England on March 22, 1961. His late father was Colonel Michael Alexeyevich Taratuchin (1912-2006), born in Kuban, Russia, survivor of the infamous repatriation in Lienz, Austria, and the Ataman of the All-Cossack Stanitsa of Great Britain (1951-2006). His mother was the late Irina Simeyonovna Princess Sviatopolk-Mirsky (+ 2015). From his youth Alexei developed a love for the Divine Services, serving in the holy altar with his younger brother Michael. 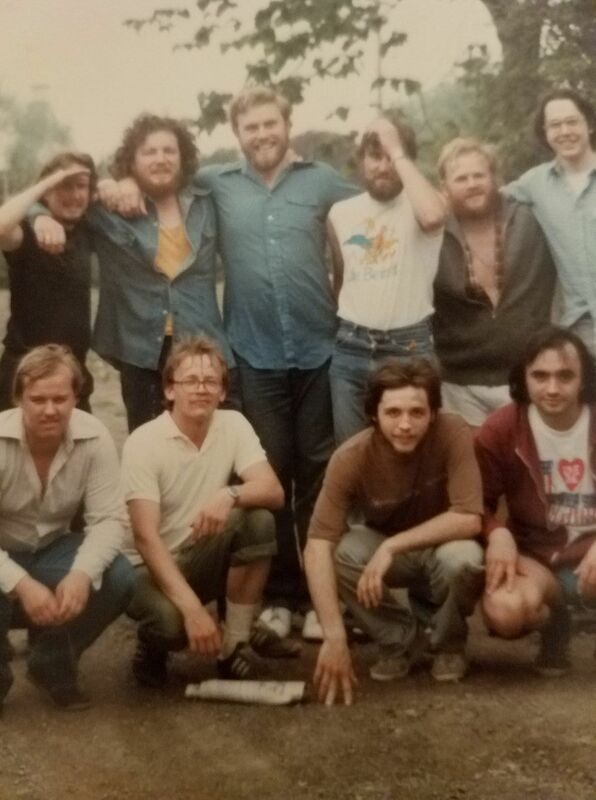 At the tender age of 16 Alexei crossed the Atlantic and entered Holy Trinity Theological Seminary in Jordanville, NY, where he sought not only a theological education, but the Orthodox way of life. 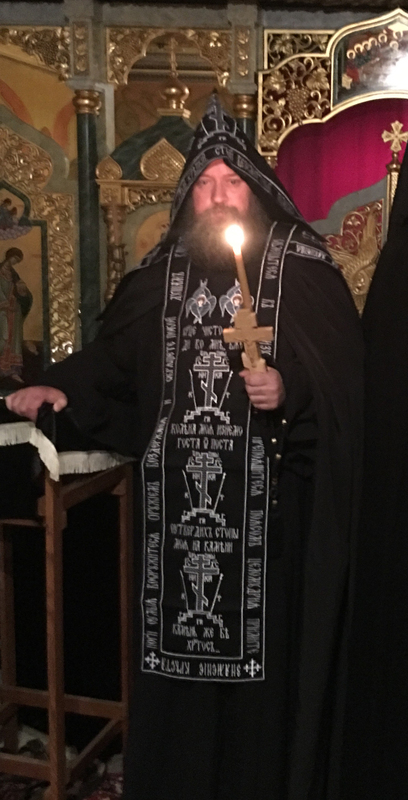 Upon completion of Holy Trinity Orthodox Seminary (1977-1982), Alexei Taratuchin was invited to San Francisco to serve as a chanter in the Diocesan Cathedral in 1983; his seminary education provided an excellent preparation for this service. Along with his natural talent for singing and a good memory for the art of liturgics, Alexei successfully performed his obedience on kliros. 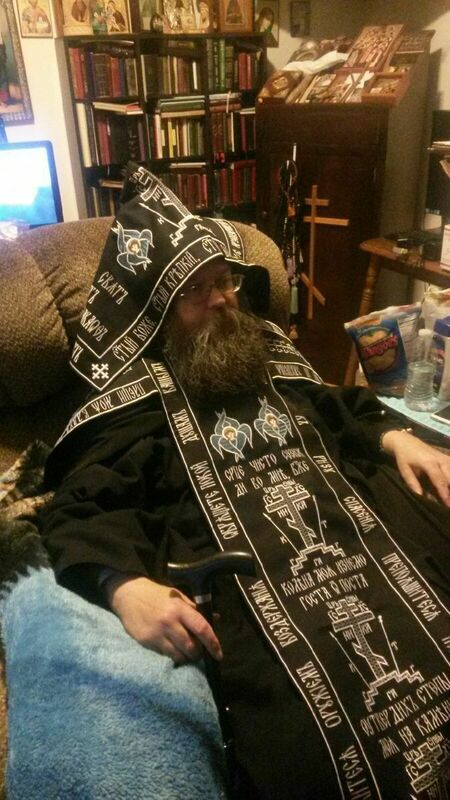 Soon he became the unofficial cell attendant for Archbishop Anthony (Medvedev). Under Vladyka Anthony’s tutelage, Alexei was able to sharpen his liturgical skills. The latter became a simple and accessible resource for difficult subjects, as he would answer questions concerning the order in the Divine Services without needing to open the Typikon. 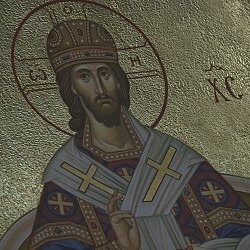 On the second Saturday of Great Lent in 1993 (March 13), Archbishop Anthony tonsured Alexei a ryasophore monk with the name Andronik in honor of the Holy New Hieromartyr Andronik of Perm, and on the next day – the Sunday of the Cross – Father Andronik was ordained to the deaconate. Also in 1993 he was chosen to participate in the opening of the honorable relics of St. John of Shanghai and San Francisco the Wonderworker, which he described as an experience similar to Pascha. 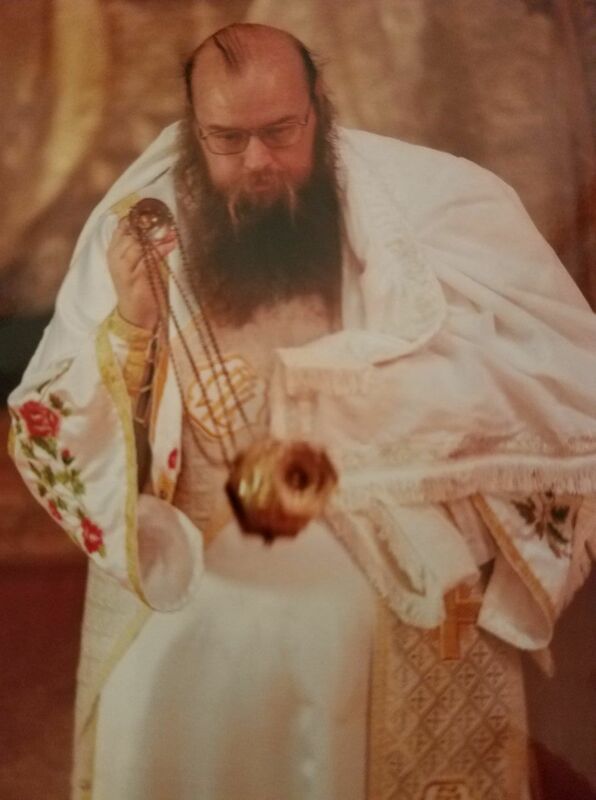 In 1997 Father Andronik was awarded the double orarion for his zealous service to the Holy Church. On September 23, 2000, Hierodeacon Andronik was present at the repose of his beloved mentor and father, Archbishop Anthony, whom he had faithfully served for many years. 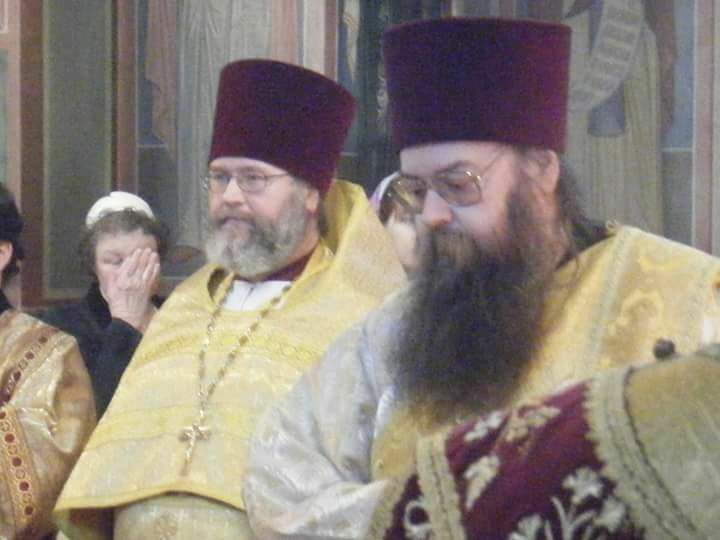 Soon, that same year, by Resolution of the Synod of Bishops of the Russian Orthodox Church Outside of Russia Father Andronik was elevated to the dignity of archdeacon by His Eminence KYRILL Archbishop of San Francisco and Western America on the altar feast of Holy Virgin Cathedral. Father Andronik's monastic cell was full of books and icons and many lists of names of the people he commemorated. This was a witness of his life with God, the Saints, the holy Angels and of his love for his neighbor. Requests came to him to pray before the sacred relics of Saint John, and it has been testified that those prayers were answered. After a while, Hierodeacon Andronik began to suffer from diabetes and eventually lost his left leg to an amputation in 2012. 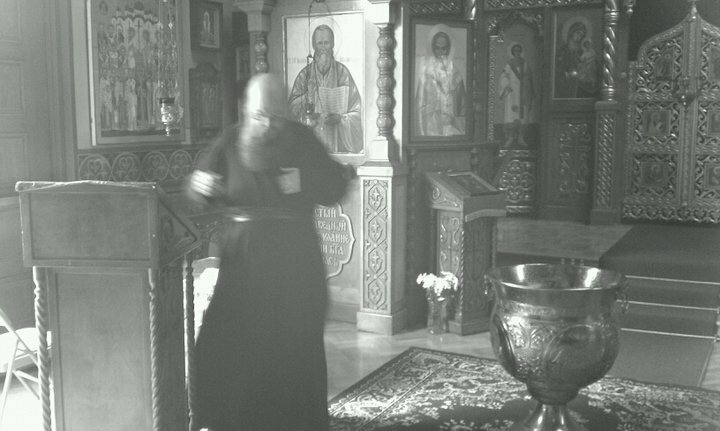 Several weeks before the operation, His Grace Theodosy Bishop of Seattle tonsured him to the small-schema with the name Ambrose in honor of Venerable Father Ambrose of Optina. With a prosthetic leg, father remained ambulatory and able to continue his diaconal service. During Great Lent of this year, sensing the approaching of the end to his earthly life, Father Ambrose was tonsured to the Great-schema in honor of the Saint Ambrose of Milan by His Grace Bishop Theodosy. For 34 years Schema-Archdeacon Ambrose adorned Holy Virgin Cathedral with his many talents, first as a chanter on kliros and later also as a deacon. He distinguished himself by his solemn pious practice of the Divine Services, by his reverence, his prayerfulness and his meekness. He was respected by all for his good nature, love for the Church and dedication, for his simplicity and sense of humor, which were a consolation for many around him. Many thanks and gratitude to all those who assisted and cared for Father Ambrose during his final years of illness. Memory Eternal to our dear father and brother Schema-Archdeacon Ambrose. May he find rest with the Saints. 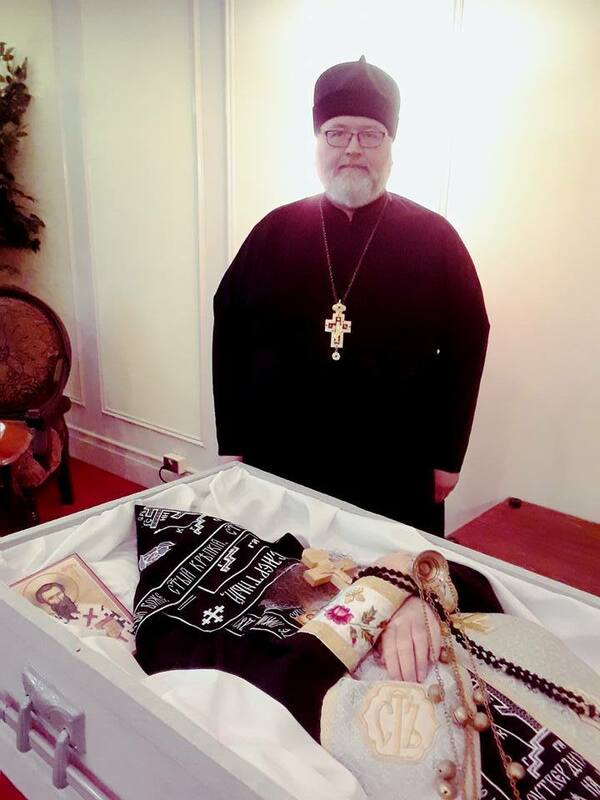 The audio recording of the Eulogy by Archpriest Michael Taratuchin which was read at the farewell panykhida for newly-departed Schema-Archdeacon Ambrose at Holy Virgin Cathedral on November 28, 2017, may be listened to here.